Even preppers have plans for various scenarios, and not everyone is prepping for the same thing. Do keep in mind that you must always be ready for “localized disasters and crises” that may occur based on your unique situation. If you’re just starting on your journey as a prepper, you can check out other articles on how to get ready for possible survival scenarios. When you’re ready, start planning for long-term disasters and the possible causes of societal collapse. Preppers are realistic, so we won’t talk about scenarios that only happen in fiction like doomsday asteroids. Prepare a bug out plan – Lay out a “solid evacuation plan.” Keep your bug-out bag in an accessible place so you’re ready to leave at a moment’s notice. Prepare a communication plan – Emergency communication is a rarely discussed but crucial part of prepping. In 2017, the threat of a nuclear attack or EMP skyrocketed to levels similar to those “not seen since the Cold War.” The government has even spurred the Centers for Disease Control and Prevention (CDC) to start taking steps to prepare the public for the possibility of an attack. What to do: Take the time to learn important survival and prepping skills. Political and social unrest. While this is a controversial topic, ignoring political and social unrest will make it harder to prepare for them. The advent of attacks following the 2016 election only serves to highlight the importance of this possible cause for societal collapse. What to do: Learn self-defense, especially for possible terror attacks or mass shootings. Even though economic optimism is prevalent in some parts of the country, the United States “is anything but economically stable.” We’re still over $20 trillion in debt, and unfunded liabilities are at a whopping $120 trillion. These signs point to an impending financial collapse. 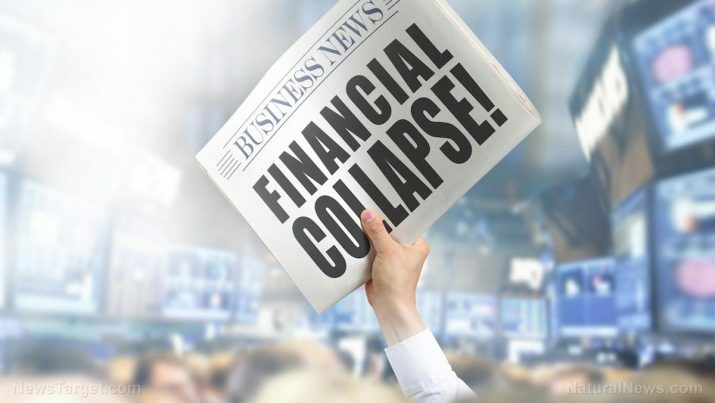 Study previous occurrences of economic collapse, and learn from the mistakes of others. Fill your prepper pantry with gear and supplies. Stop procrastinating, and start preparing today. Take a look at history. We’ve become complacent during these relatively peaceful times, but in the past, was anyone ready for Hitler or the civil war? “History is filled with events that nobody saw coming,” but unless we learn from the past, we’ll be doomed to make the same mistakes. Never ignore the possibility of famine. The signs are already there, such as our increasing reliance on countries like China and Mexico for food exports and the decline of American agriculture. Based on data from the CDC, which you must take with a grain of salt because it could be “grossly under-reported,” American hospitals are not ready to contain “a disease outbreak or pandemic.” They’re barely even capable of containing known pathogens in the country. The CDC reports that more than 1.7 million people are infected by healthcare-associated infections every year. Meanwhile, 99,000 people die yearly from diseases “acquired while at a hospital.” Are we really prepared for a large-scale outbreak? The majority of preppers believe that the country is already “in the middle of a societal collapse.” We’d be next to helpless without technology, and most people are not ready for the violence and crime sweeping through the nation. At this rate, we could be well on our way to societal collapse. With these possible causes in mind, it’s up to you to take precautionary measures to ensure that you and your family are ready when the inevitable SHTF.